NEW ORLEANS–Unlike Divisions I and II, DIII has the luxury of another national qualifying weekend after this one. So while that means that the performances will be a little less mark-focused this weekend, it means that athletes and coaches can focus that much more on beating their bitter rivals. Below are seven uber-competitive events to watch. This is by no means a comprehensive list of the weekend’s action. 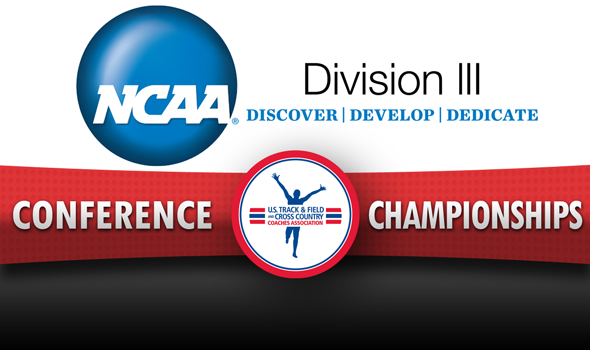 For the details on every DIII conference meet being contested this weekend, check out the USTFCCCA Conference Championships Central page. A number of these championships will be broadcast live online. Check out our breakdown of the weekend schedule of live streams for more details. Poor Shelby Mahr of Whitewater. She’s the best dual-threat thrower in the country, ranked second nationally in both throws. But Oshkosh throwers have kept her from ever winning a national or conference title. Between WIAC and NCAA championship meets last year, Mahr registered four second-place finishes. She’s likely to pick up two more this weekend. The glory of the lack of conference indoor meets in New England is that the best of the region get to face each other in their absolute pre-nationals peak. Outdoors, we’ll be robbed of a championship distance showdown between MIT and Middlebury until nationals. But indoors, a staggering five of the nine fastest women’s milers in the nation come from those two schools, and four of them are in the same race on Saturday. Maryann Gong has been the breakout star of the 2014-15 indoor season. The MIT sophomore only scored one point at nationals all of last year; this year, she has the fastest time in DIII in the mile and 3000. She’ll get to prove that she has the racing chops to back up the times this weekend when she faces off with DIII No. 2 Allison Maxwell and No. 9 Summer Spillane (both of Middlebury, both of whom she beat last week when they all PR’d) and her fifth-ranked teammate Sarah Quinn. All four have dreams of being the best mid-d runner in DIII in the post-Cazzola world. If you’re a DIII alum, you’ll appreciate this: the WIAC is so strong this year that it took 8:42 to make the fast heat at conferences. Leading the fast heat will be three men at 8:20 or under: Eau Claire’s Josh Thorson, Whitewater’s Dawson Miller, and Stout’s Patrick Jenkins. That trio ranks, third, fourth, and sixth in the nation, respectively. And all three have finished in the top five at nationals in something: Thorson was third in cross country, Miller second in the steeplechase, and Jenkins fifth in the outdoor 5k. Among equals, it’s never a bad idea to pick the guy with the best speed. With a 3:51 1500 best, Miller is the quickest out of the group. The No. 2 and 3 hurdlers in the nation this year–and No. 2 and No. 7 in DIII all-time–face off for the second straight week. Last weekend in Sprinfield, Worcester State’s Terrence Gibson beat Bridgewater State’s Conor Murtagh by one one-hundredth of a second, though Murtagh did break eight seconds for the first time. Gibson won indoor nationals in 2013 before Salisbury’s Luke Campbell beat him with a national record last year. Now he has a sub-8 man from his own conference to contend with. Three of the top nine women in the nation–Claire Gordee and Addie Korb of La Crosse and Sherry Taylor of Oshkosh–plus the top returner from nationals, Jaime Ludwigson of La Crosse, are in this race. A month after Lehman’s Adriana Wright burst on to the scene with a 8.64 at the Armory, Gordee ran 8.66 at Wisconsin, making her the tenth fastest performer in DIII history. North Central is just one of two schools that has had three men break 50 in the open 400 this winter. But it’s their conference rivals Augustana who have the nation’s fastest relay time at 3:16. In fact, at 3:20, NCC’s quartet is sitting right on the bubble for nationals. For Augie, major pride will be at stake. They’ve won the last two CCIW 4x4s, and three of the last four. The lone year that North Central won (2012) they also won the event at nationals. Expect this race to produce major, major fireworks. Outside of La Crosse and MIT (covered above), the three best combined sprint/distance programs in DIII might be WashU, Chicago, and Emory. The three programs in that order are currently ranked 6-7-8 in the women’s 4×4. Only one other conference, the NJAC, has more than one top-ten school. And WashU and Chicago are currently the top two teams in the DMR. How it affects the team battle will largely determine the DMR lineups, but expect all three teams to go all out in the 4×4. With only twelve teams qualifying for nationals in the relays and an additional weekend in which to qualify, anyone outside of the top five or so has to run like their time isn’t safe.